All of us experience anxiety at some point in our lives, in fact, it is an inherent part of life. There may be various reasons for your anxiety including family, money, health, and work issues. However, it is not natural to be in a state of anxiety all the time as it can be detrimental to your overall health. When you are suffering from any anxiety disorder, you experience several episodes of sudden feelings of fear and anxiety that reach its peak within a few minutes. These episodes are known as panic attacks. Some of the different types of anxiety disorders are social anxiety disorder, generalized anxiety disorder, separation anxiety disorder, and certain specific phobias. 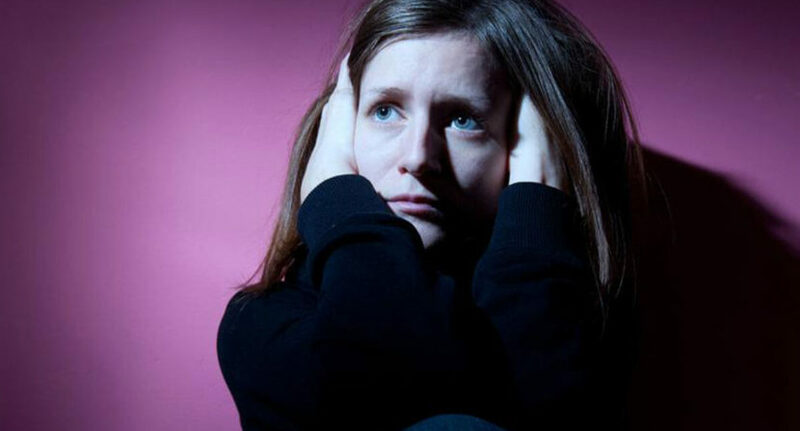 Anxiety disorders are characterized by a feeling of impending doom or danger, hyperventilation, feeling restless, difficulty sleeping, trouble concentrating, and having difficulty in controlling your worry. There is not enough evidence on exactly what leads to anxiety disorders, however, traumatic events seem to trigger these disorders in those who are already susceptible to anxiety. Anxiety has also been linked with several health problems including diabetes, heart disease, drug abuse, respiratory disorders, thyroid problems, and chronic pain. Psychotherapy and medications are the two main treatment methods available for treating your anxiety. Your doctor will prescribe you medications based on what type of anxiety disorder you are suffering from. You may also be prescribed with benzodiazepine, which is a sedative that provides some relief from anxiety for a short period of time. The only problem with these medications is that they come along with a few side effects that can seem quite distressing when you have anxiety. Therefore, there has been an increase in demand for natural anxiety supplements in the recent years. Valerian root is derived from the root of the flowering plant, Valeriana officinalis. This is one of the natural anxiety supplements that has been used over decades to ease the symptoms of anxiety. Valerian root works by easing your insomnia, and it has also been to known to have relaxing properties. The valerian root has a very typical smell, so you may not want to consume it in the form of a tea. It is also available in pill form and most of the people take it right before bed because of its sedative effect. However, you can take it at any time of the day, you just need to figure out what works for you. One of the most effective natural anxiety supplements, kava root is also the most scientifically successful natural supplement available today. A lot of research has been conducted on this herb and it has proven favorable when compared to the common anxiety medications. Kava root works by relaxing your muscles and improving your cognitive ability, and also has mild sedative properties. In short, it does everything that anti-anxiety medications do, but naturally. You can consume kava root as a tea or in a pill form. When you are using kava root, it is very important that you do not mix it with alcohol. Not only does lavender smell heavenly, but the flower as well as its oil are also known to be effective as natural anxiety supplements. There have been some studies conducted all over the world, which prove that in stressful situations, people experience less anxiety when they inhale lavender. You can add the lavender essential oil to your bathwater or bedclothes, when you are suffering from anxiety. Contrary to its name, passionflower has a calming effect when you are anxious, nervous, or restless. This is one of the natural anxiety supplements that is available in a pill form. Just ensure that you take the pill in the evening because some people report a feeling of drowsiness and sleepiness. Just be very careful and follow the instructions to the letter when you are using any of the natural anxiety supplements mentioned here. It is not a good idea to mix several supplements together, so choose one that suits you. Seek your physician’s approval before stopping any of your prescribed medications.